PS Project Omaha is a mod being developed for Post Scriptum that plans to 100% accurately recreate the Omaha landings. Post feature Report RSS	First Official Media Update! First off. Join our discord! This is Post Scriptum’s Project Omaha, or, PS Project Omaha for short. 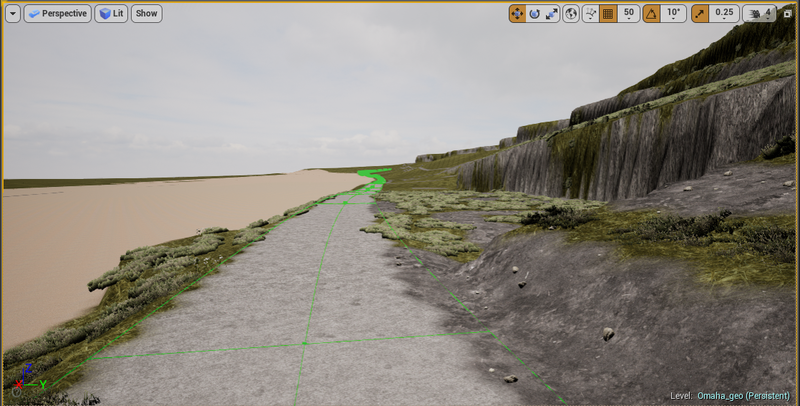 Right now we’re a small team of modders looking to accurately recreate the landings at omaha beach and all of its sectors on a 1:1 scale in Post Scriptum. As of right now since this is our first post we’re going to be upfront. We don't have much to show… yet. With this project we plan to be 100% open about everything. With each major update on this page we also plan to release all of our research towards what we have made or gathered. This research will be free for anyone to use any way they see fit. Ideally we would like to shift the narrative of what happened at omaha beach away from what people perceive from movies like Saving Private Ryan or games like CoD: ww2 and so forth. Right now as mentioned earlier we don't have much content to show. That being said we do have content we are quite proud of! The first thing I should mention is we actually have the map started. After extensive research on height data from various sources, we have something that looks accurate of Dog Green Sector and Charlie Sector. Right now it's in a very rough state as almost everything seen in the map is a stand in. With all this now would be a good time to mention that for the early stages of this map we want to only focus on Dog Green and Charlie as that is a more obtainable goal then that of finishing the whole beach at once. What will come with the map? Well, as of right now our first public release we would like to have a 1:1 section of Dog Green and Charlie. With that we want there to be vehicles and equipment that would be in those sectors on D'Day. When the map releases we would ideally like to have boats, water mechanics, drowning, various weapons not included in PS such as bangalore's and artillery pieces like the pak 43/41. Later down the line we plan on having such vehicles like sherman Dozers and other oddities found on the beach. The map that is released will also have multiple layers corresponding to times during the day of June 6th. We would like to have about 5 or so layers of the map (Disregard this number for now as it might change). The console name for the map will be Omaha_CDG_H. THIS MAP WILL NOT SUPPORT AAS. CDG refers to the sector. So, what is said there is Charlie/Dog Green Sector. H refers to the time of the map and the layer. H itself would be at 6:30(ish) when the first wave hit the beach. H with a number will be how 6:30 plus X hours. IE: Omaha_CDG_H2 would be omaha beach at 8:30. This will be a full version of omaha beach with every point available for capture by the american forces. Ticket Limit will be much larger than a default version of the map. Number will have to be found out through game play testing. Until the first objective, the Sand Wall, LCIs will not spawn. We see this one being the most played layer. Default version of the map. 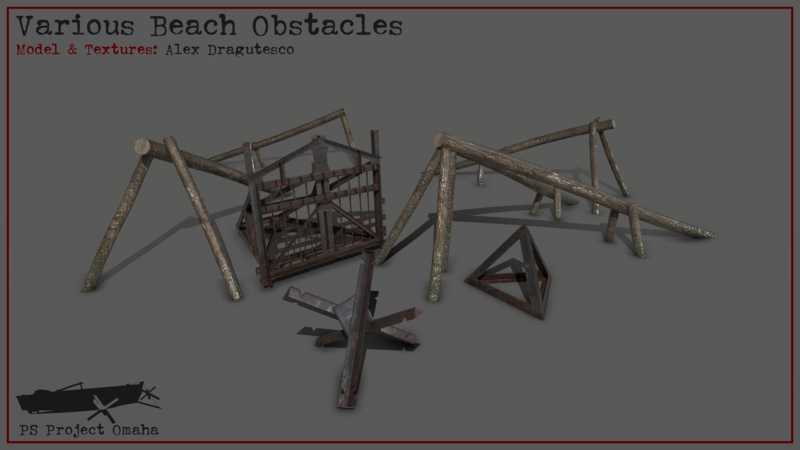 Objective layout will be one large objective on the beach. Americans must be in the point to cap. Less than (Play test needed to determine number) 10 americans will not start the cap of the point. While we would like to restrict access to the beach for the germans through non artificial means, uses of restricted zones might be needed. Since we don't want the germans to actually get farther than the beach wall the cap point will decrease in capped value if there are under 10 americans. So no need for germans to be on the cap point. Take the beach and WNs 71, 72 and 73. Take WN71,72, 73 vierville and points beyond. Literally everything is how it should be. All MG positions are spawned in (not at random) along with mortars and other equipment. Boats like LCIs unlock at times into the match and the beach is a realistic length. Americans will probably never win this one due to game balance. Eventually we plan to make a youtube series on the events that happened on omaha beach. We will cover everything. The videos on this channel will mostly be walkarounds of the maps giving information on what happened where. What bunkers were active and times they were taken out. Along with other things like general information and in depth vehicle details. Right now were not commiting to this yet but we 100% do want to make this dream a reality. Lastly and most importantly we will be actively posting updates on the Moddb when content is ready. We have a general structure of what we would like to see in our posts but as of right now were not committing to the format until we find out what works. We also in the future will be setting up a discord for people to ask questions and learn about what's going on first hand. Realistically for this map to work ingame there will need to be some balance. This is why we've decided to redo some of the classes and mechanics of the base game for this map. PS omaha Will be adding new classes such as a demolition squad and MG assistant for the germans. So what makes the classes different? Some of the usual classes will not be available from that of the vanilla game, this includes: Logi (allied and axis) and armour (allied and axis). Instead these classes will be replaced by allied navy and engineer corps. Germans will have no logistics or armour. Both sides will have access to a commander. Callins will differ than vanilla game. The number in brackets will refer to how many in a full server both teams included. Allied Navy(8): only ones who can drive and use the LCIs. while unrealistic, LCAs and LCVPs will be driven by a member in the squad. Engineers(4): Only available to the allies. This whole squad will have access to HE explosives, Satchel charges, bangalore and mortars equipped with both smoke and HE. Ideally we would like to make it so that if a player has a bangalore or HE equipped props with a pulsating glowing yellow texture will be destructible(See old Call of duties). This class will also be able to build ammo crates, MGs and mortars. Axis MG (2 per squad 4 squads total): German MGs are going to be reworked entirely with our map. There will be 4 squads of MGs Each Squad Will have 2 people. The operator and the ammo carrier. Operator will have the MG much like the default game. The MG Assistant will be able to build tripods with telescopes for the MG gunner to use. When in close proximity to the MG Assistant, MG reload speeds will be increased. Not only are squads and classes changing. We will be redesigning how some vehicles work and their mechanics. Most notably were adding boats. Boats as expected are going to act much different from traditional land based vehicles. 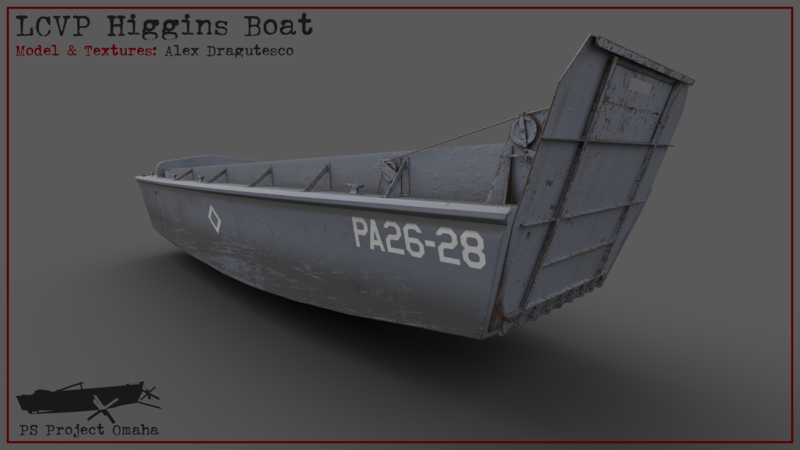 As of right now with the lack of Post Scriptum SDK, we can't really comment on how boats will act. We have a base outline but it's too early to say for certain. We will release an article on full vehicle mechanics in the near future. LASTLY AND MOST IMPORTANTLY! We are looking for help. If you are experienced in Modding squad, blueprinting in UE4, modelling and or texturing message The_Amish#0265 on discord. We are always looking for new members!